OMG the minuet I seen this was a tag I just had to do it! I am a mega mega Disney fan, I love it so much. I seen this on Alexandra's blog Sweet Dreams. When I was little I would watch one of five films every night before bed, the Little Mermaid 2, Rugrats in Paris, the Goofy Movie 2 or Lady and the Tramp 1 & 2. I never wanted to watch anything else. I would have to say though out of them all the Little Mermaid series will most likely always be my number one favourite, I have the 3 part box set, LM clothes, I know all the words to each song and when I was little I would pretend to be Melody and on holiday I would bring a small bag like hers in the pool with me and pretend I was collecting shells hehe. (I also had a LM2 locket like Melody's, unfortunately it didn't open up to show Atlantica). Hmmm, I don't know. As out of the Disney Princesses my favourite is Ariel. But on Disney Pixar films I love Mike from Monsters Inc, I love Boo as well as I used to look like her when I was younger. But all that being said growing up I would always pretend to be Melody from the LM2 or Angel from Lady and the Tramp 2. You will soon learn that I find picking favourites really hard hehe. 4) Rathe be Aurora or Cinderella? Cinderella. I love that she has mice for friends and gets to wear glass slippers. Even though she does have many years locked up cleaning. I do enjoy sleep, but not for 100 years. 5) Rather be Hercules or Tarzan? Tarzan 100%! I actually watched Tarzan yesterday hehe. I would just love his life so much, swinging from trees being friends with Elephants and living with a herd of Aps. 6) Rather be Lizzie McGuire or Raven Baxter? Oooo this is so hard as both of these will always be my favourite Disney Shows. I would love to be Lizzie as she got to perform on stage in Rome in front of thousands, she also has a cool life and I used to copy her style. Hoesntly for about six years I would a silver love heart necklace like hers and I had a blue bubble backpack life hers. It was a very sad day when it popped. However, Raven can see in to the future having visions would be so cool! She is also very sassy and I would love to dress up like her when she pretends to be different people in difficult situations. Okay I can't pick, both are cool! Mon, Tue, Wed i'll be Lizzie and Thu, Fri, Sat i'll be Raven. Sunday i'll be moi hehe. Part of your World and For a Moment. 8) Which Disney Character would be your best friend? Hmmm... I think Terk from Tarzan would be a cool friend to have, she will always be there for you, even if she is a bit of a drama queen. 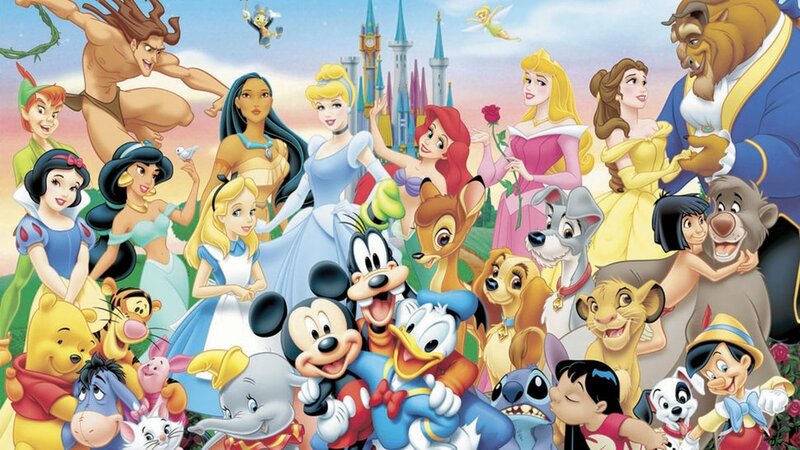 9) Which Disney character would you choose to have as your pet? 10) Have you ever been to Disney Land? Yes I went to Disney World Orlando Florida in 2007. Wow, seven years ago! I need to go back ASAP. I love Disney so much hehe. I hope you enjoyed this, and I tag all of you to do it! Hello! I have nominated you for a Liebster Award as I love your blog!